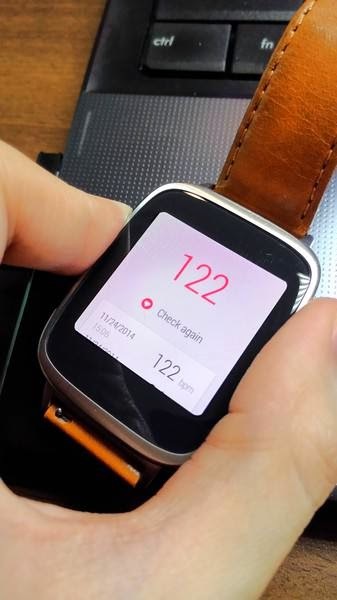 ZenWatch quite rich biological sensor detection, Today and tell you how to use ZenWatch measure heart rate. No matter which can be used anytime, anywhere! 2. 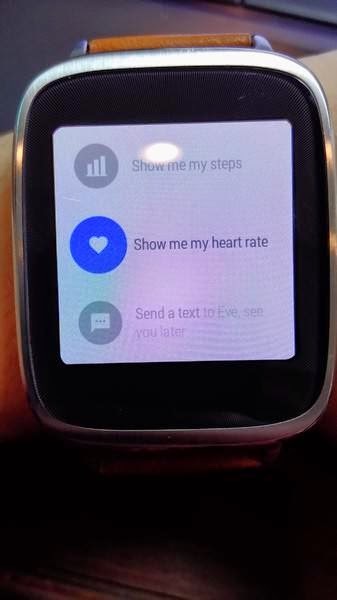 Click twice and then enter the function menu of "Show me my heart rate"
3. 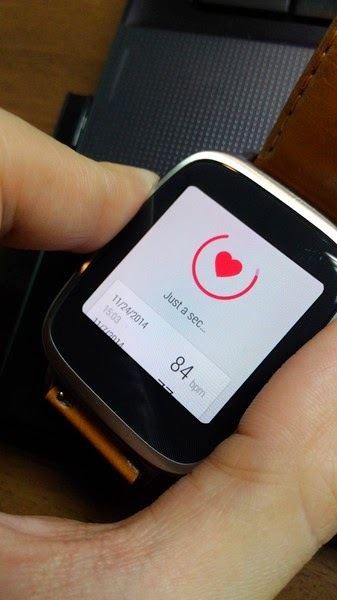 Action relaxed mood before the heartbeat, the two-finger touch ZenWatch border. Waiting for him a few seconds to let love turn around. 6. 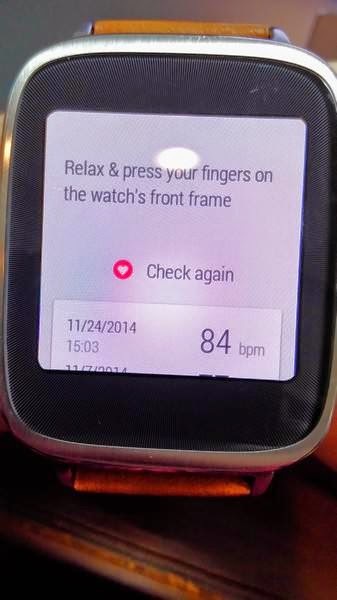 You can see the top ten times sliding heartbeat record date and time measurement of both. 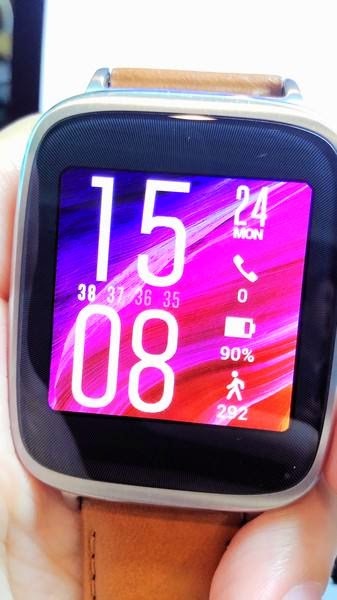 Enjoy with your ZenWatch movement recording it!